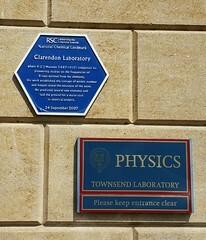 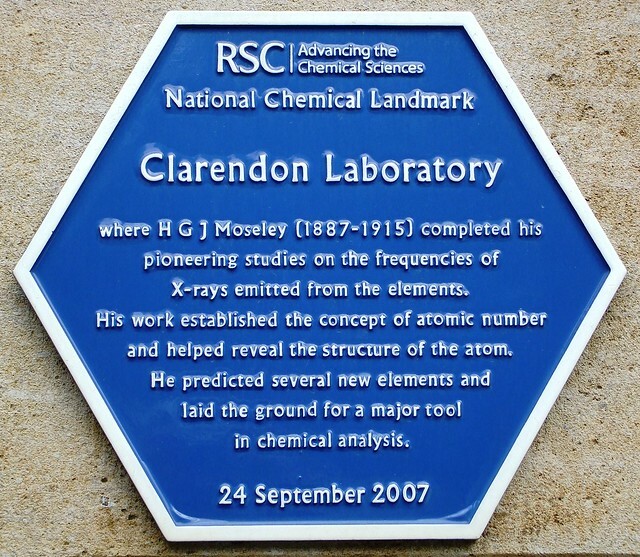 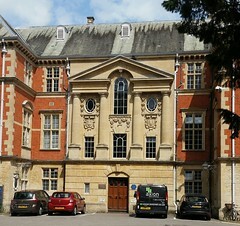 National Chemical Landmark: Clarendon Laboratory where H. G. J. Moseley (1887-1915) completed his pioneering studies on the frequencies of X-rays emitted from the elements. 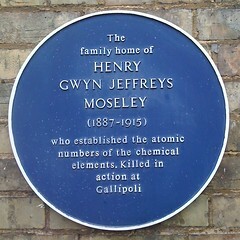 His work established the concept of atomic number and helped reveal the structure of the atom. 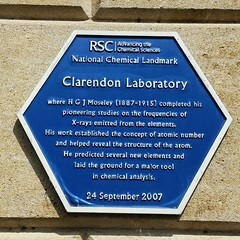 He predicted several new elements and laid the ground for a major tool in chemical analysis.